It’s not like “Everest” has to have something to say. Characters and stories can be defined by action, not questions, but there’s little character action in “Everest” to make us fully understand these climbers and engage in their journey. There is over an hour of setup in “Everest,” and in all that time, we only get broad character traits, nothing more. Hall is a good, married man with a kid on the way, but we only see glimpses of his struggle towards the end. When characters tragically perish in “Everest,” it should be brutal and visceral, but Kormákur isn’t an emotional filmmaker, and he’s working off a thin script, making matters worse. 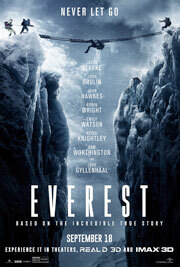 Because of that, “Everest” doesn’t have that much tension, as most of the characters aren’t well drawn. Clarke and Brolin, in particular, are very good, but it’s Naoko Mori as Yasuko Namba who delivers the most honest, heartfelt moment in the movie. Namba was the oldest woman to complete the Seven Summits, and when she reaches the top of Mount Everest, it’s very moving. Though it’s a largely silent role, we see her motivation for wanting to be there instead of telling us through some clunky backstory or broad explanation. 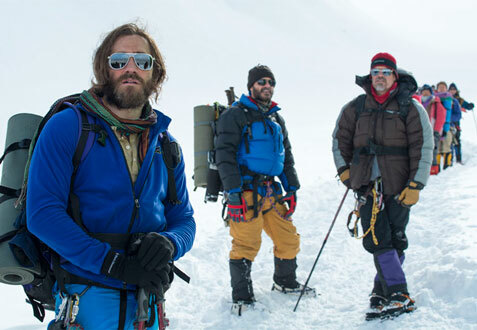 The fine performances only make “Everest” that much more disappointing. This is a moving and tough real-life story, and yet the film itself is neither of those things. The script and direction is earnest and well-intentioned, but it’s lacking in several areas. The locations and use of 3D are often engaging, but “Everest” isn’t meant to be eye candy or spectacle – it’s meant to be a drama, and as a drama, it mostly falls flat.